This flavourful Mediterranean-inspired salad makes the perfect side to serve with your favourite cooked meat. Combine fennel, tomatoes, peppers and cheese in large bowl. Mix vinaigrette and lemon zest until blended. Add to fennel mixture; mix lightly. 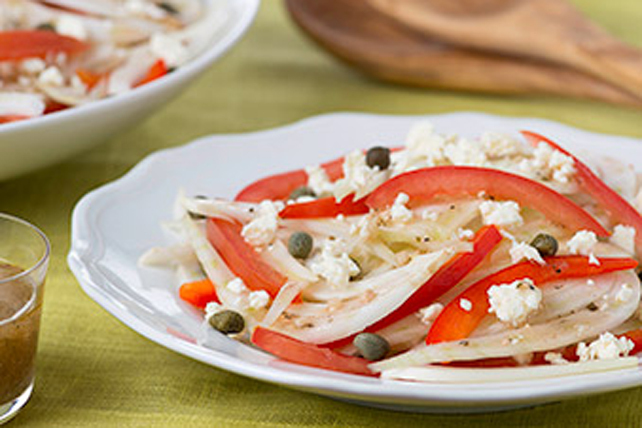 Serve with grilled chicken or lamb kabobs.